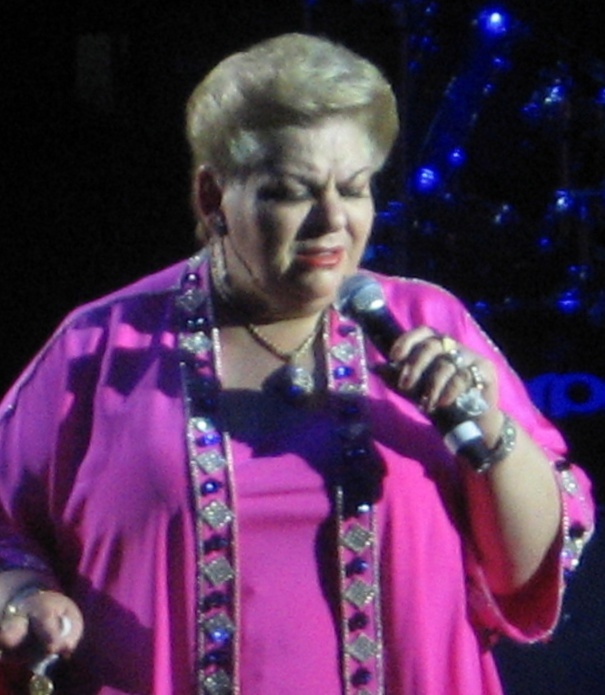 Paquita La Del Barrio ("Paquita from the neighborhood") is the stage name of Francisca Viveros Barradas (born April 2, 1947), a Mexican Grammy nominated singer of rancheras and other Mexican styles. She was born in Alto Lucero, Veracruz and started her career in Mexico City in 1970. Her songs usually take a stance against Mexico's sexist male culture. This has made her popular among female audiences. She is known for her often confrontational presence; her signature phrase, with which she often teases male spectators in her shows, is "¿Me estás oyendo, inútil?" ("Are you listening to me, you good-for-nothing? ").